Among the factors that contribute to character building is the influence of teachers and mentors. This was especially so in the previous century when the means and methods of communication were limited as was social and physical mobility that are very necessary for exchange of ideas and evolution of social & professional ethos. To trace these influences on Dr LM Sanghvi’s approach to medical practice, I looked for information on his alma mater, Grant Medical College, Bombay where he studied for his MBBS degree (1932-1937). Dr SR Moolgavkar, Major General SL Bhatia and Dr A Karmally. A search for the other faculty members at Grant Medical College led to the archives section of Bombay University Library located at the Rajabai Tower building. I found some volumes of the Bombay University Calendar that the University used to publish, in the days of yore. These calendars contain extremely valuable information on various aspects of the University’s administration, its affiliated colleges, the courses offered, the faculty at each college, examination results of various subjects, with a complete list of successful candidates along with the merit list. This enabled me compile a list of his batch-mates! But I could not get any information in the public domain either on the other faculty members or his class-mates. 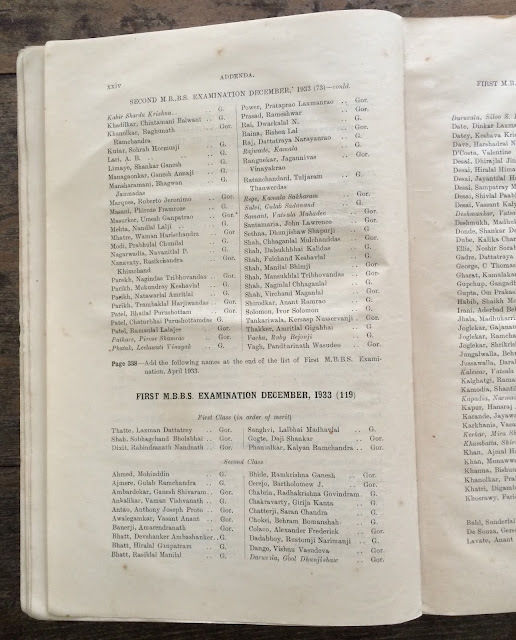 Fortunately, some of the calendars pertained to the years when Dr Sanghvi was a student and I could obtain a complete list of the faculty in 1936-37 – his final year at the Grant Medical College. These documents are too precious to be taken out of the premises and can be accessed only with special permission. But the University was kind enough to give us permission to photograph some of the relevant pages within the premises. Fortunately, one could do so using a mobile phone (this was in 2013). 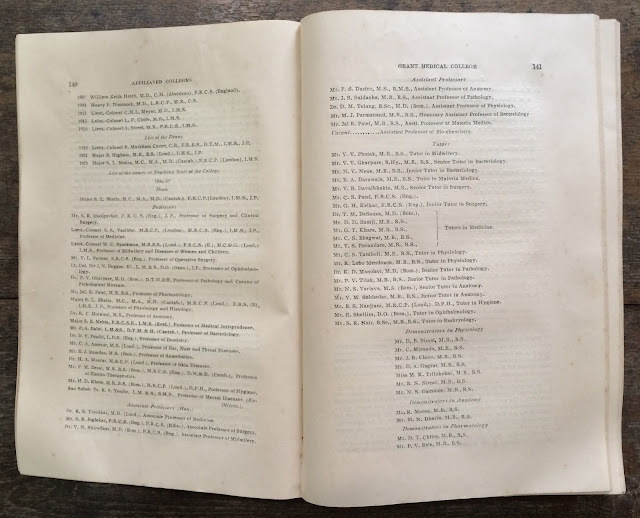 I used some of the photographs in the book to share with future researchers who may possibly be looking for information on aspects of the history of medical education in India in the previous century. 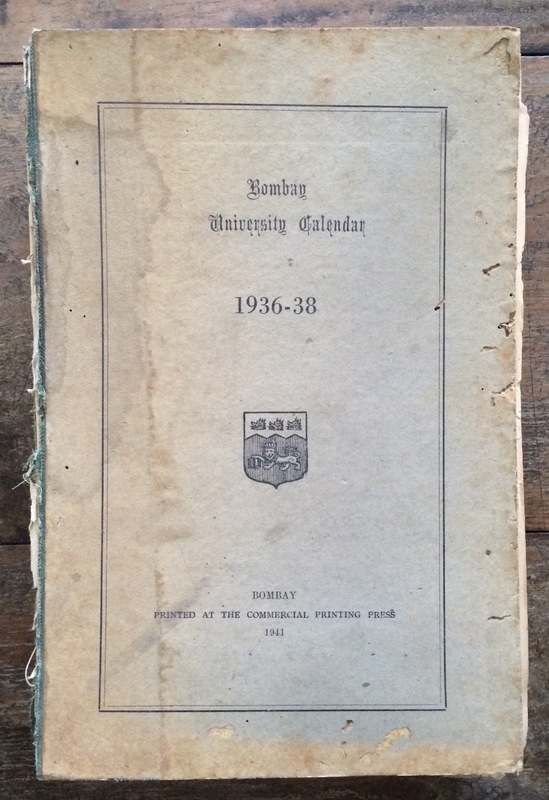 The cover page of Bombay University Calendar for 1936-38 which was published in 1941. The page on the left lists the teaching faculty at the Grant Medical College for 1936-37, the years when LM Sanghvi completed his Final MBBS. Has LM Sanghvi's name in the list of candidates who passed with first class in the first MBBS Examination 1933; he stood fourth in order of merit.